Preparedness is not a onetime event. Unfortunately, that’s how most people in this country deal with it – that is if they deal with it at all. While having a survival kit, bugout bag, and emergency supplies will give you a good head start, should something catastrophic happen, it’s hardly a substitute for good old fashion knowledge and training. To really be prepared to deal with disasters and threats, you need to bring preparedness training into your daily routine. Most people, upon hearing that they need to think about preparedness training, instantly start to tune out. Adding preparedness training to their already stressful routine of work, figuring out how to pay the bills, and dealing with everything else that comes up in life can seem like just one more impossible agenda item to add to the list of things that never seem to get done. But preparedness doesn’t have to be a choir; it can be fun, and it can be added to your daily routine. Camping, fishing, and hunting are all excellent ways to relieve stress and have fun; they’re also great ways to hone your preparedness skills. While there is a big difference between urban and wilderness survival, there are some things that crossover, making these activities a great way to get in shape and practice your survival skills. Good old fashion camping is also a great way to discover how you and your family will do with limited resources, a lack of power, and hopefully without a bunch of useless electronic gadgets. If you have kids, camping is a great way to introduce them to the idea of preparedness, in a way that will excite them and help them remember the lessons. Practice using a Signal Mirror – During this exercise, take the time to talk to your children about the importance of communication skills in the real-world. Learn how to Start a Fire – Take the time to practice making a fire with a variety of different methods. In a wilderness survival situation, knowing how to build and maintain a fire is probably one of the most important skills you can have. 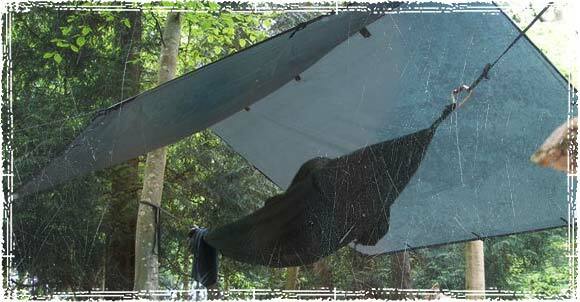 Learn how to Construct a Good Tarp Shelter – Even if you’re tent camping, or “roughing it” inside your luxury RV, take the time to practice making a couple of different tarp shelters. They’re fun to make, and will give you one extra skill to add to your preparedness arsenal. Practice Making Survival Traps and Snares – During a long-term survival situation, one of the biggest challenges you’re going to face is finding and procuring food. Learning how to build traps and snares is a skill that one day could come in very handy. Learning how to Cook from Scratch is one of the most important long-term survival skills you can have. It’s also something that you can easily add to your daily routine, even if it’s only once a week. Besides from being a lot healthier, it also gives you a good idea of what it will be like during a long-term survival situation where readymade food may be hard to find. Learn how to Cook with a Thermos – During an emergency, where power and gas go out, a thermos can be an excellent way to prepare a wide variety of slow cooking foods. It’s also something quick and easy that you can add to your daily routine; it may even save you time in the morning when you’re rushing out late to work. Go Old School – If you have kids, it might be fun and a good history lesson to look at some old recipes from earlier American history. 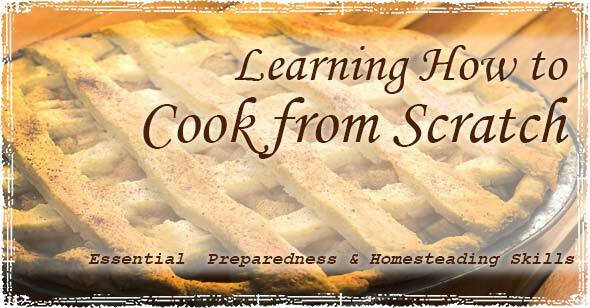 From old World War recipes to Great Depression era recipes they are a great way to learn how to do with less and can help prepare you for hard times. Use your Grocery List to help you Build Your Emergency Food Pantry – Learning how to cook from scratch is great, but knowing what types of foods last the longest is something that you need to keep in mind. Use your grocery planning to slowly build up your emergency stockpile of long-term survival foods. We all like to kick back and veg out on the couch sometimes; but instead of watching another mind-numbing television show, why not read a good book? From Survival books that help give you valuable skills and preparedness advice to books that help us become better people, reading is not only a great way to relax; it’s also an excellent way to stock up on knowledge. If you’re a fan of this site, and you find the information I write about useful, then you’re really going to appreciate my new book. 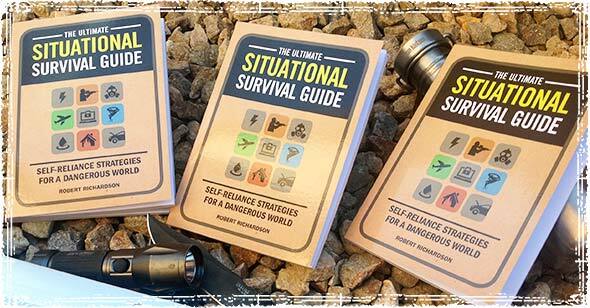 I wrote it specifically for you; I cut out all the garbage that you’ll find in most survival books and dedicated it to preparing for real-world threats and disasters. 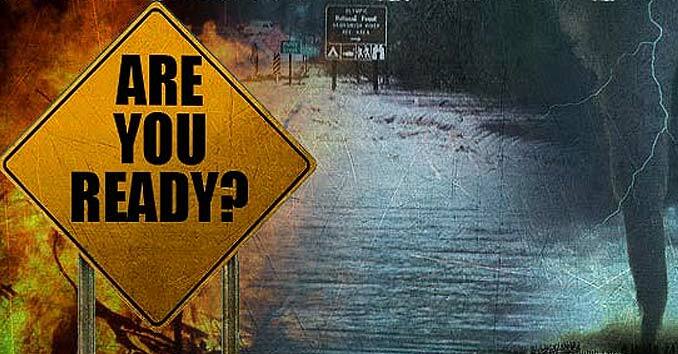 From surviving natural disasters, man-made disasters, social unrest and disease outbreaks, to essential tactics and step-by-step instructions for surviving urban disasters, crime, and criminal/terrorist attacks, you will learn the self-reliance strategies you need to survive these very real, modern day threats. While modern society likes to pretend we are somehow more advanced than our ancestors, I believe we lack many of the essential skills that past generations used to not only survive, but thrive. Many of the founding principles of preparedness can be found throughout the Bible. Even if you’re not a Christian, it’s a good look into how past cultures dealt with preparedness related issues. Fear can be debilitating and deadly during a survival situation; preparedness is the antidote to that fear. How to Stop Worrying and Start Living, by author Dale Carnegie, gives some of the best advice I’ve ever read on dealing with fear and worry. While this is not the typical “survival book” that you might see suggested on most survival sites, I believe understanding how to deal with fear, especially in the face of danger, is an essential survival skill that everyone should have. Break your kids in easy… Help them set up a tent in the backyard, for starters. Then have them help bar-b-que, with sticks instead of briquettes. Give them a canteen of water. They will see how much they use and learn to conserve their “resource” if they run out quickly. Use blankets, wool if you have them, instead of a sleeping bag. Then, the next morning, use camping / hiking food to make breakfast, over another wood fire, if they are up for it. You can teach as much in your own backyard in the beginning, without the expense of traveling, to get them used to the processes and thinking for more ambitious outings later. Go fishing. Find your bait, rather than buying it. Dig for worms, catch grasshoppers or turn over logs or rocks to find things to use. Learn to use a minimal fishing kit. Show how to clean and cook what they catch, over fire, again. Preparedness doesn’t have to be expensive. It is a matter of knowing what you have, how to use it, or improvising with what you can find or what you can repurpose. Besides all that, your kids will remember all these experiences as good times as they look back. I remember doing all of that when I was a kid. Many times I camp in the backyard “roughing it” for a night. I spend many years traveling and camping with my family and not realizing how well they have set me up for situations that involve being out in the woods. Thanks Mom and Dad!! Time to pass on to my little ones.